Plain and simple: we love Margaritas. Everyone has their a-ha drink and for us it’s the Margarita. Who knew lime, cointreau, tequila, and a salt rim could provide a transcendental experience? 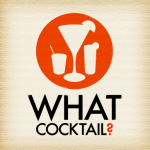 It’s been a busy time for our little app What Cocktail? so you’ll forgive us for not posting more often.